Effective with maintenance plan renewals on or after March 1, 2012 Sage have indicated they will eliminate their Bronze maintenance plan option and move all Bronze users up to Silver plan. The Bronze plan is the one used by most of our customers and, until Sage abruptly discontinued it, allowed for periodic software upgrades with no help desk access to Sage. Under Sage’s Silver plan the additional percentage paid to Sage will be 3% (Bronze was 18% and Silver’s new price is 21% of product SLP). 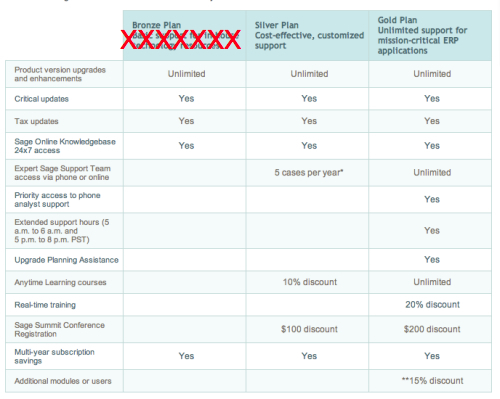 In additional to the benefits Bronze previously offered Sage adds very limited help desk access (5 contacts per year ). This Sage access is best used for basic front line questions about things such as an error message or a request for a copy of your software unlocking codes. 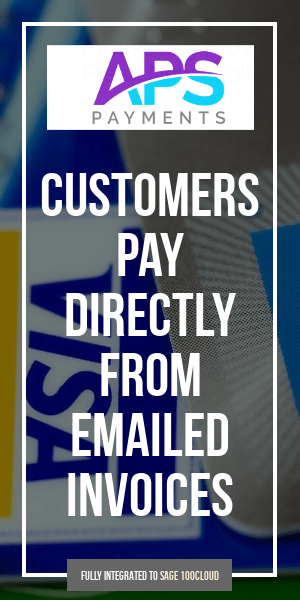 Do not expect them to advise you on best business practices, provide candid opinions on third party solutions or guide you with non-routine implementation questions. They are technicians working from a knowledgebase, not experienced field consultants with decades of business experience. In short, if you were previously on Bronze maintenance, you will see a 3% increase in the cost of your annual plan if it renews on or after 3/1/12. If you were on Silver or Gold with Sage – there’s no change. Schulz Access Agreements for your consulting and systems support remain unchanged.